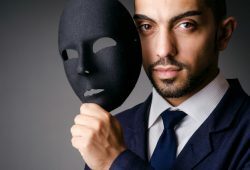 3) “Know-Better-Than-You” Attitude: They are incredibly self-confident to the point of being conceited and think they know better than others. This self-assuredness makes them strong-minded and opinionated. They don’t follow instructions. In the past, when the boss tells us to jump, we ask, “How high?”The Millennials ask, “Why?”Whether it is the influence of a new education system of question-and-answer, or debate and bantering in school, this generation knows more and has greater and more convenient access to information in an instant. Ask any question, Google will find the answer for you. Every opinion is checked and re-checked. Points and counter-points from diverse sources are readily available. 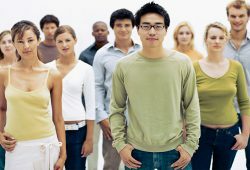 The National Study of Youth and Religion found the guiding morality of 60% of millennials in any situation is that they’ll just be able to feel what’s right[ix]. They take what I term as the evidence-based and feel-right approach in decision-making. When asked to follow instructions, they will question and challenge their supervisors. Whether they take ownership of the decision depends on how convincing you are and how well they feel about you! If you are able to do that, when they move, they really move with you! Even if they don’t resent authority, they don’t need authority. This makes them more threatening and exciting than the baby boomers. They could move to a city, start a business, become social entrepreneurs, form organizations and become app-makers. They don’t need us. I have a friend whose two daughters started an online clothing business and have done so well that she became their employee! 4) Consumed by Technology and ‘Digital-Relationships’: They spend too much time with their personal devices, leaving them emotionally stunted. Kids are texting or sharing pictures hundreds of times a day. Millennials are interacting all day but almost entirely through a screen. You see them in schools, offices, bus stops, subways, restaurants, sitting next to one another, texting! Some psychologists claim that they suffer from PPV (Phantom Pocket Vibration) syndrome: 70 % check their phones every hour, deeply anxious that they are missing out on something better, even though they look calm! The Millennials’ almost total dependence on technology and social media makes them stunted emotionally. They seem to have a prolonged life stage from teen to adult, and Time Magazine calls them twixters. The social media and cellphone have become their life line and main mode of communication, with which they spent most of their times interacting with their peers. The iPhone has become their peer life-support system! Social interactions with adults and parents are kept to a minimum. 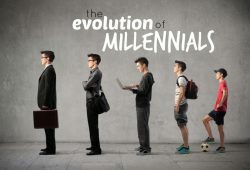 In comparison with the previous two generations (the Gen-X: 1960–1980s or the Baby-Boomers before the 1960s), they are under the constant influence of their friends more than ever. “Never before in history have people been able to grow up and reach age 23 so dominated by peers. To develop intellectually you’ve got to relate to older people, older things: 17-year-olds never grow up if they’re just hanging around other 17-year-olds.” – Mark Bauerlein, an English professor, who wrote The Dumbest Generation: How the Digital Age Stupefies Young Americans and Jeopardizes our Future[x]. In the workplace, they communicate through emails and are often overwhelmed by them. An average worker receives about 100 emails a day. The higher you go in the corporate ladder, the more emails you get. This has also contributed to the lack of human interaction and the lack of competence in human interaction. 5) Too Materialistic and Wanting More Life Than Work: They are too materialistic and obsessed with fame and fortune. Their work ethic seems to be doing less for more and yearning for a better work-life balance. The Millennials are surrounded by abundance. The media and the access to media allow them to feel rich and live in their dream world of being rich. So, wanting more, better, bigger existential items can become an obsession and addiction. They don’t know what it means to be poor. They don’t want to be poor. They aspire to live in an era of abundance, of having whatever they need and whatever they want, anytime they want it. When I was doing a consulting work in China, one Chinese Administrative Assistant, earning US$1,500 per month, confessed that her biggest dream purchase was to buy a US$3,000 Gucci bag. She finally did and was parading it to all her colleagues and me! Another training manager saved for years to buy a US$20,000 sound system to put in a squalid home! Recently, I was in Siam Paragon, a hugely popular shopping mall in Bangkok, and witnessed a large crowd of screaming high school girls watching a group of K-Pop stars on screen. Every time, they catch a glimpse of one of the stars, they shrieked in excitement. Idolization is hip and is the cool thing to do. Be it a K-Pop star, soccer star, or movie celebrity, we live in an age of people going gaga over these superstars. They live their dreams in these celebrities. 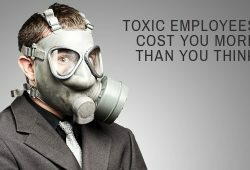 That is why many are willing to change their jobs for a mere $50 more a month. Job loyalty is not the norm. They also want to earn more for less work. Another trait of Millennials are that they are always talking about work-life balance and don’t want to work too hard. They are only willing to work if they are financially and appropriately rewarded. 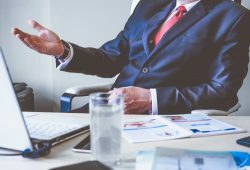 A study in 1992 by the Families and Work Institute reported that 86% of people under 23 wanted to one day have a job with greater responsibility. In a similar study 10 years later, only 60% did. They wanted to earn more for less. It seems from this description, Millennials are a bunch of egotistical, stubborn, impatient brats to be disciplined and gotten rid off. On the contrary, I believe Millennials are the biggest untapped resource for any organization. 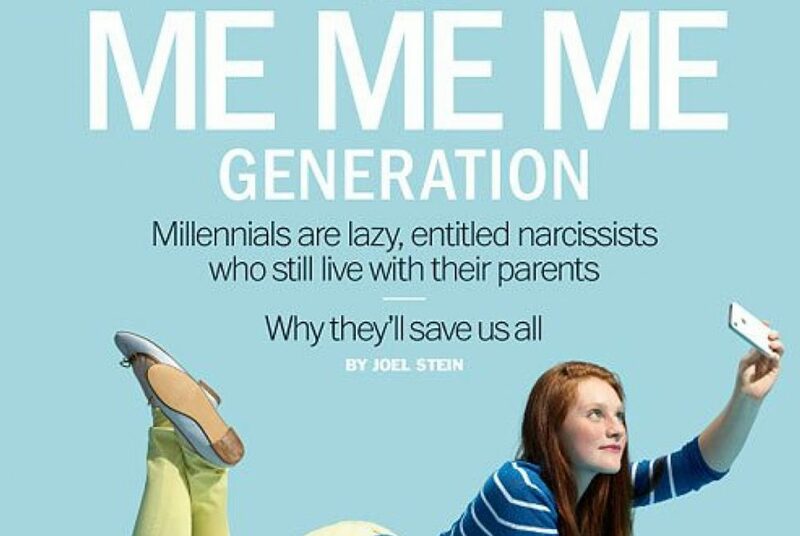 First, we are as narcissistic and self-absorbed as the Millennials. We are no different from them. The media environment has accentuated this narcissistic culture among the Millennials and we would be the same if we have been born, and live in their milieu. I agree with Josh Sanburn, who astutely observes, “Can you imagine if baby boomers had YouTube, how narcissistic we would have been?”Therefore, the Millennials are a continuation of a trend of self-absorption rather than a revolutionary explosion of this generation. They have just mutated. The Millennials are just adapting to a knowledge-explosion and media-accessible environment. Second, we will feel as entitled as the Millennials. They lived in a culture of abundance. They have not tasted poverty, parents eking out a living, wars. In a forum with university students, former Prime Minister of Singapore, Mr. Lee Kuan Yew so wisely puts it, “Young Singaporeans don’t know what it means to be poor.”As such, we can lose that drive and resilience. That’s the curse of living in a world of abundance. Because of what we have without working hard for it, we take things for granted. We make assumptions in life. We feel entitled. Third, we will feel as empowered as the Millennials. Again, Josh Sanburn writes accurately, “A lot of what counts as typical millennial behavior is how rich kids have always behaved.” The Internet has democratized and given ample opportunities to millennials, giving them information and access that were once the purview of the rich. This self-confidence and liberated power can be used for good. Because they now have access, they can become more innovative and creative. This is that source of power and potential we should tap. They are ones who will come in not just as thinkers but doers. They are the ones who will be tinkerers and dreamers. They are also embracers of differences. They don’t have the us vs them mentality. They want to make things happen. They will become people of change only if we can connect with them emotionally. This is a three-part series. We will continue to explore Nurturing the Millennials (Part Three) in the third part next week. [ix]Joel Stein. The New Greatest Generation: Why Millennials will save us all? May 20, 2013. Time Magazine. Time Magazine Asia. Hong Kong. [x]Joel Stein. The New Greatest Generation: Why Millennials will save us all? May 20, 2013. Time Magazine. Time Magazine Asia. Hong Kong.